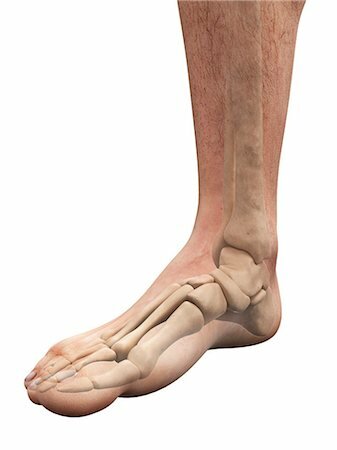 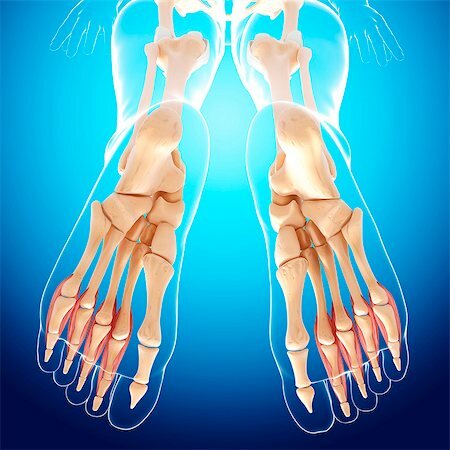 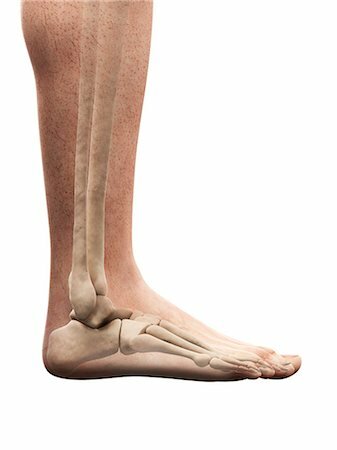 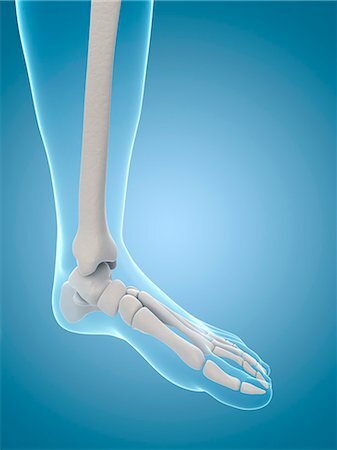 Human foot bones, computer illustration. 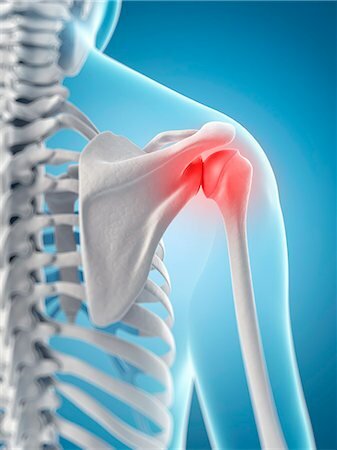 Front view of stylized bones of the shoulder joint. 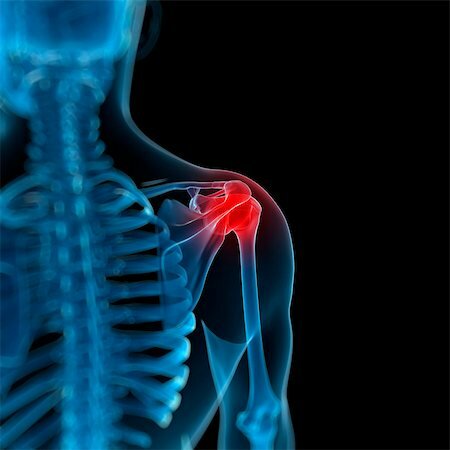 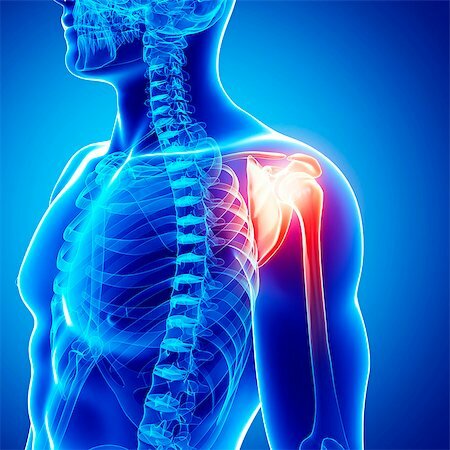 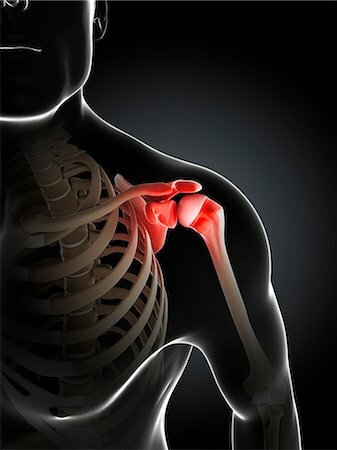 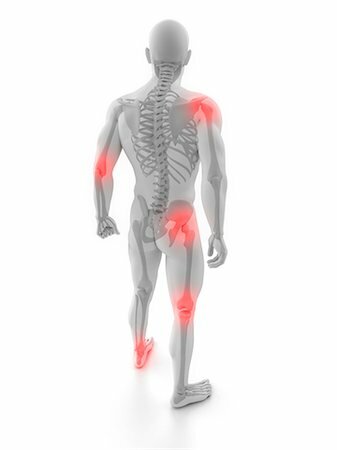 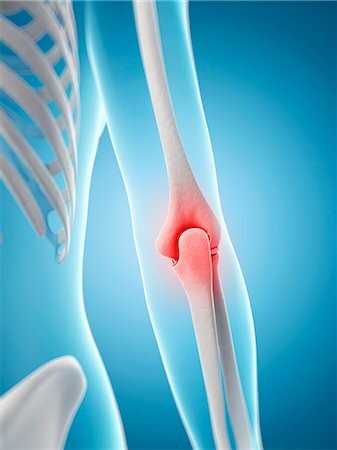 The glenohumeral joint is red to represent pain or injury. 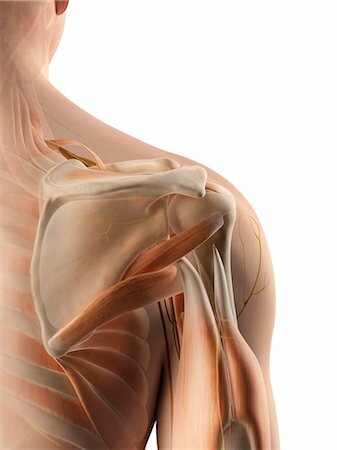 Human shoulder anatomy, computer illustration. 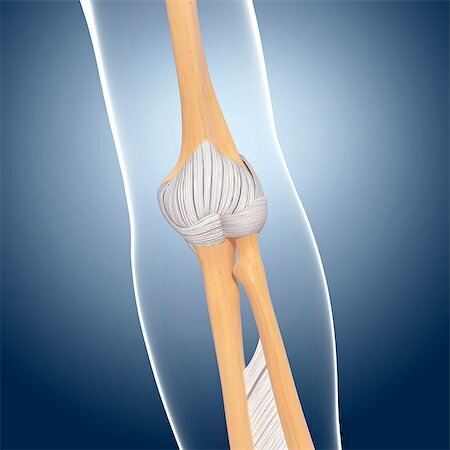 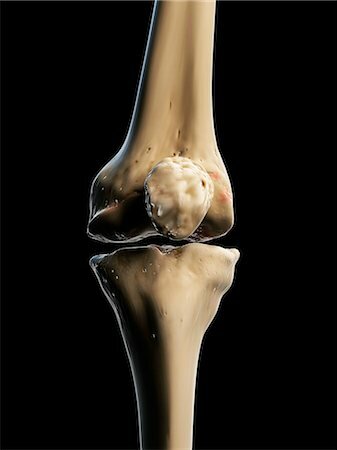 Human knee joint, computer illustration. 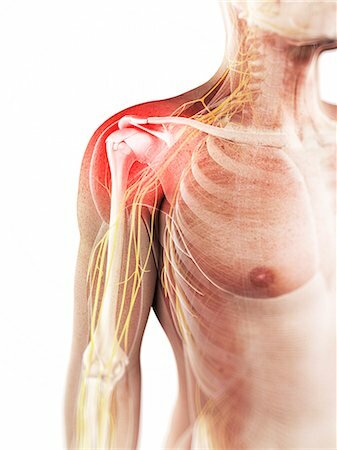 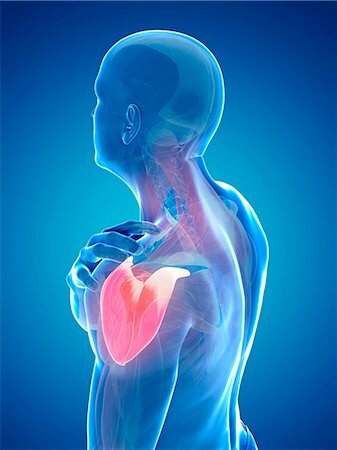 Human shoulder muscles, computer artwork. 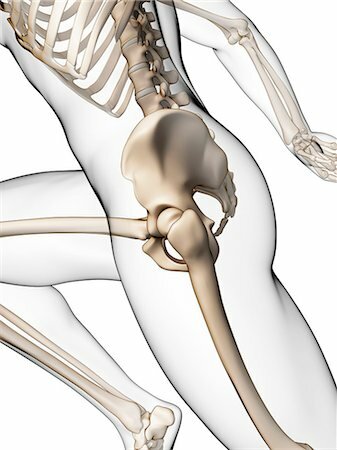 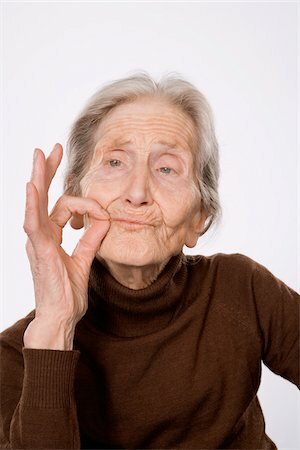 Human anatomy. 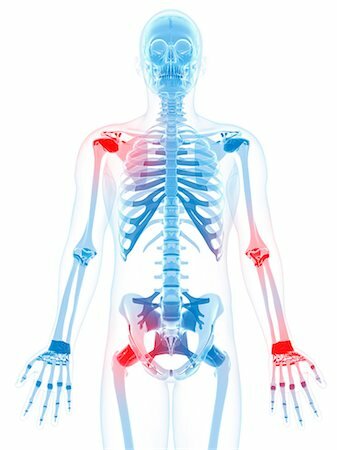 Computer artwork showing bones and the vascular system. 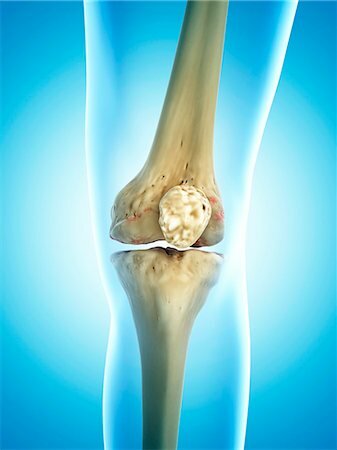 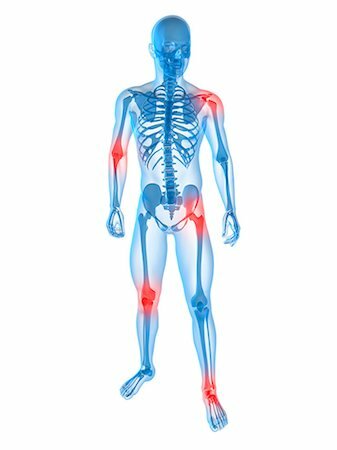 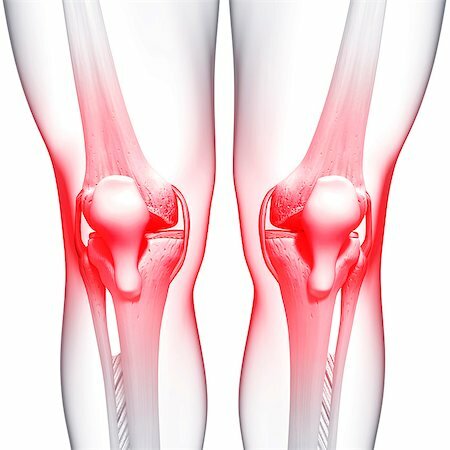 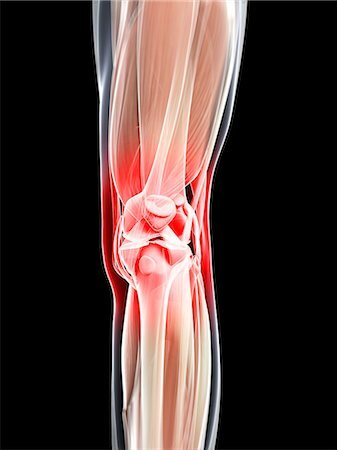 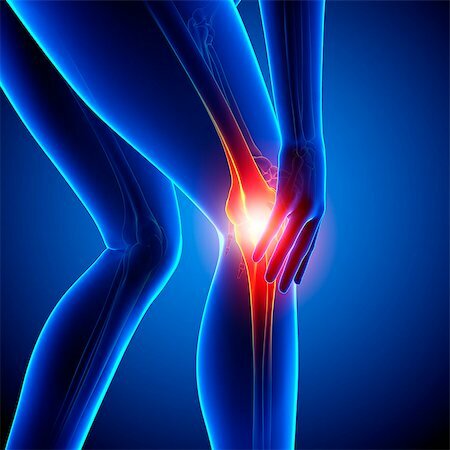 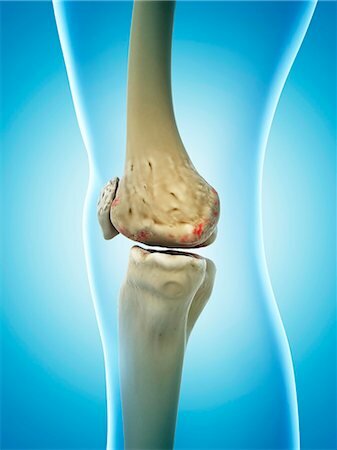 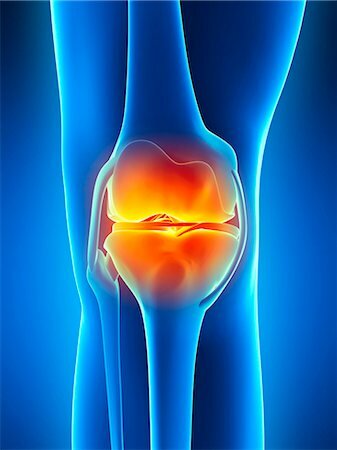 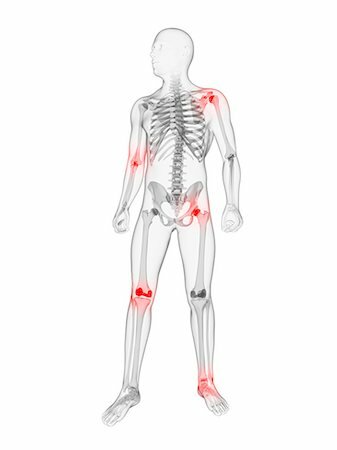 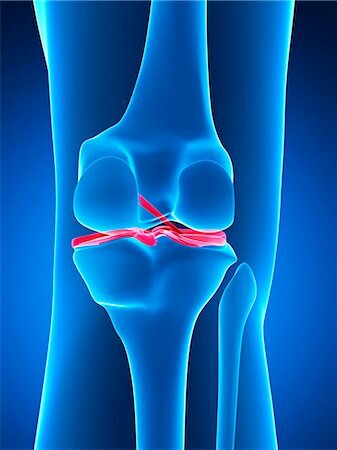 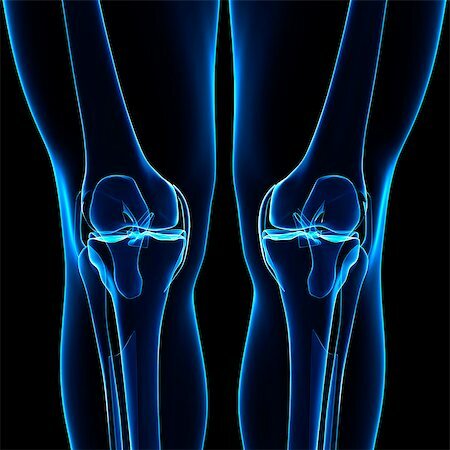 Human knee pain, computer artwork. 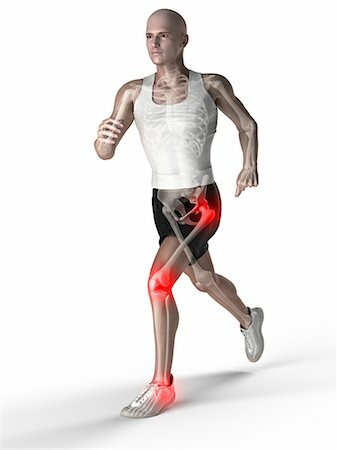 Human anatomy of a runner's knee joint, computer artwork. 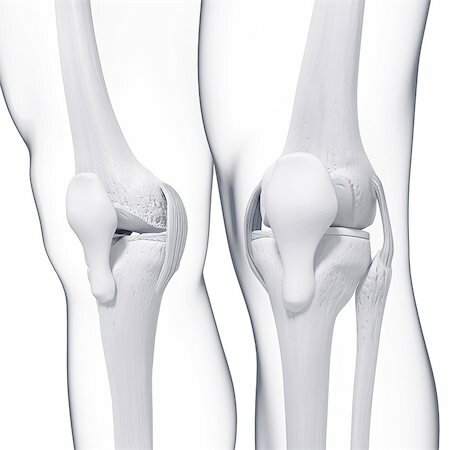 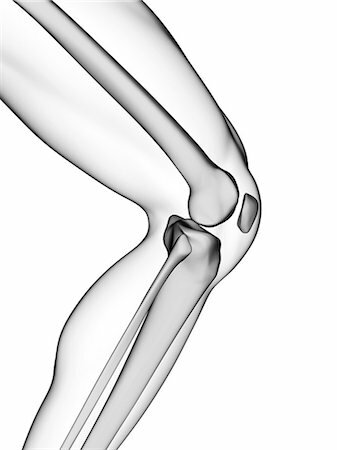 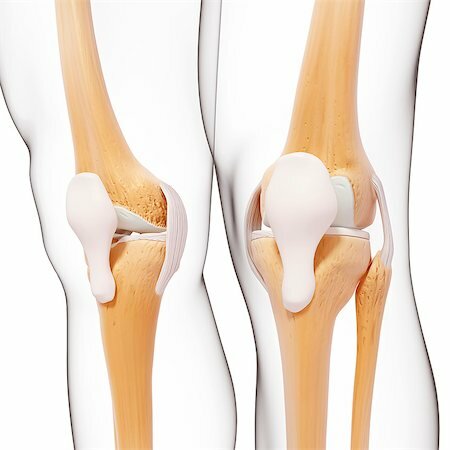 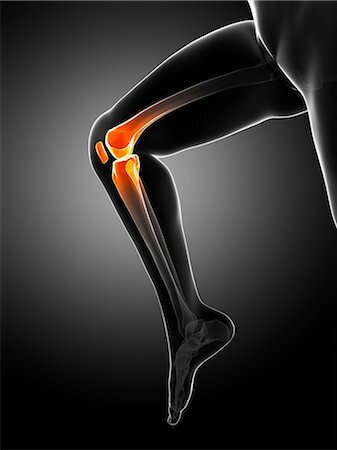 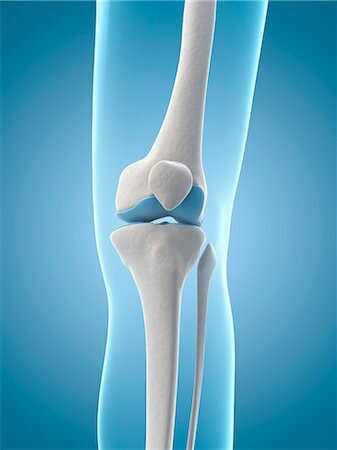 Stylized front view of the bones of the knee joint within the skin. 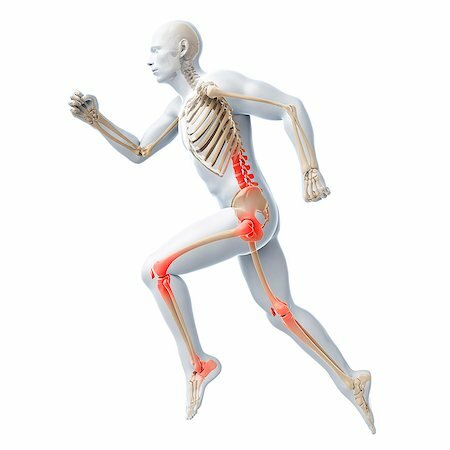 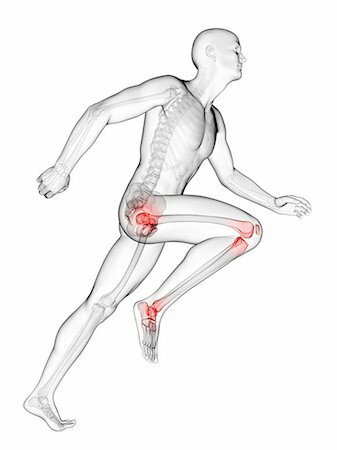 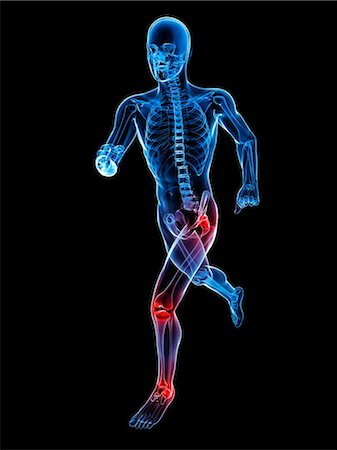 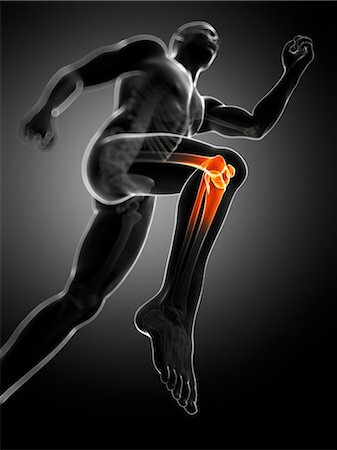 Human anatomy of a runner's joints, computer artwork. 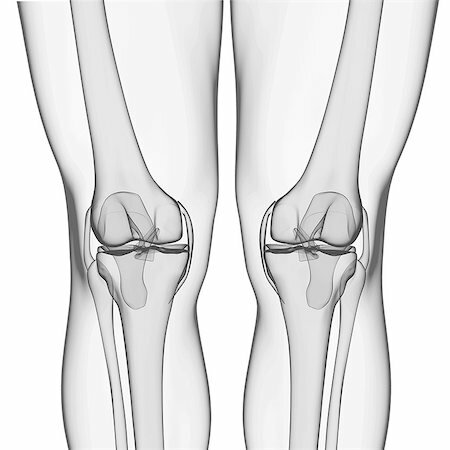 The bones of the knee viewed from both front and three-quarter perspectives. 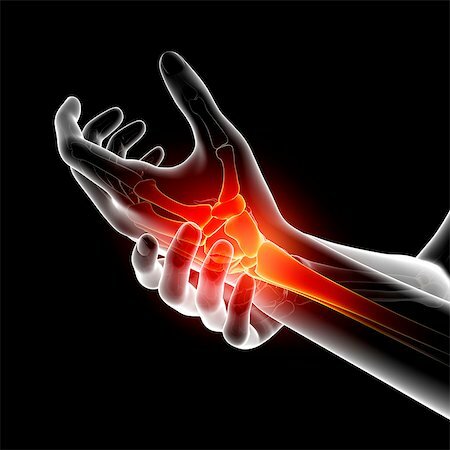 Human elbow pain, computer artwork. 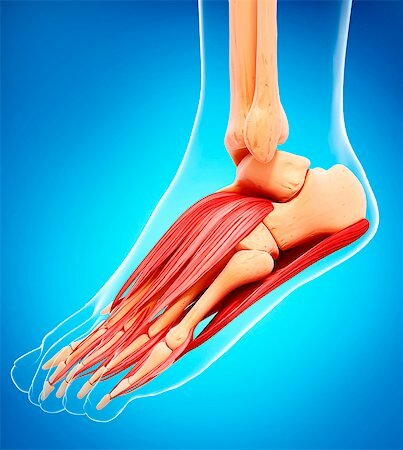 Human foot musculature, computer artwork. 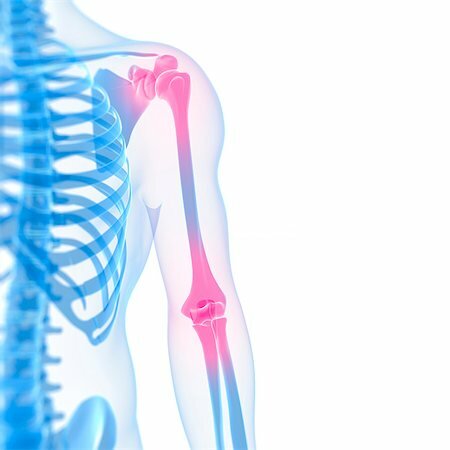 Stylized front view of the bones of the left arm (male). 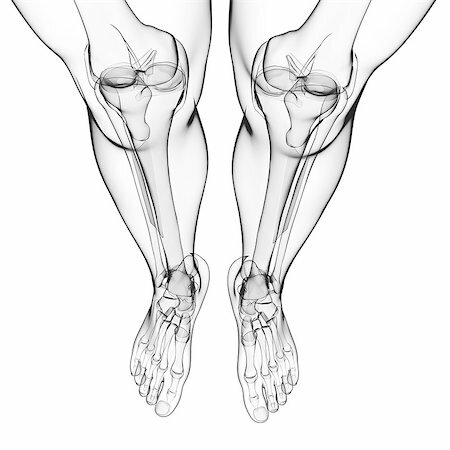 Front view of stylized bones of the knee joints, lower legs, ankle joints and feet. 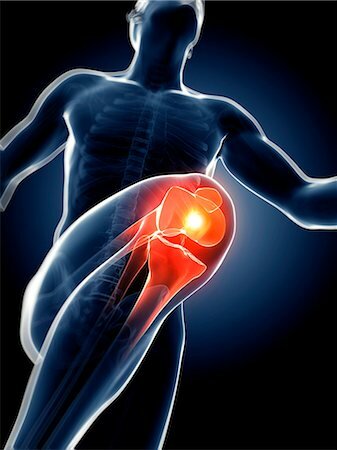 A pre-adolescent male child kicks a soccer ball. 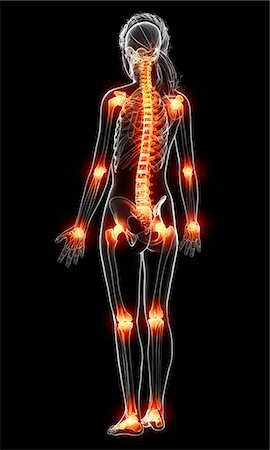 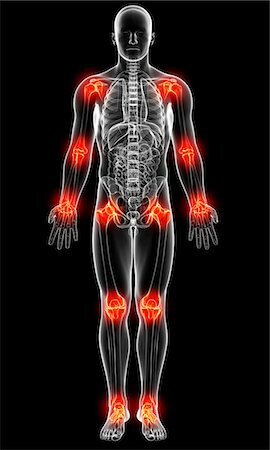 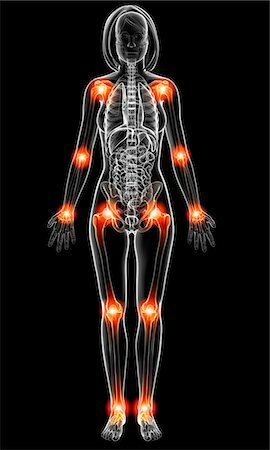 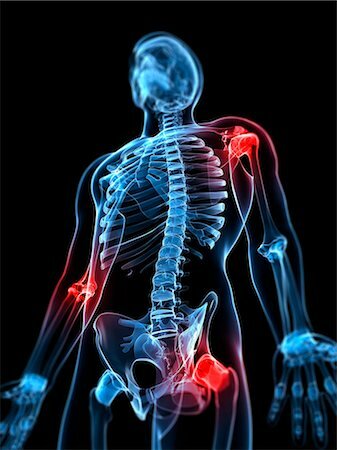 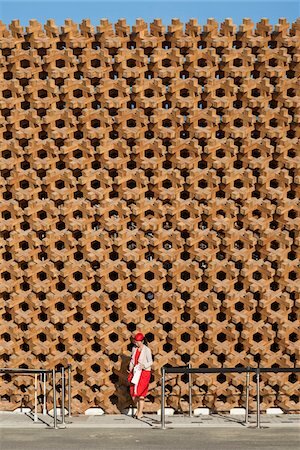 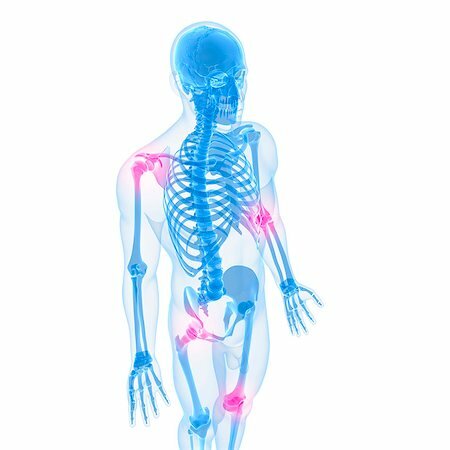 The bones are visible within the body to show the structures involved in movement. 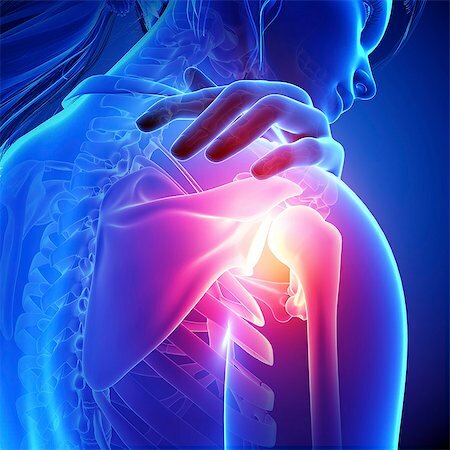 Shoulder pain, conceptual computer artwork. 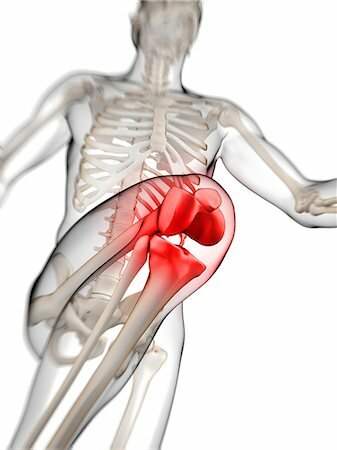 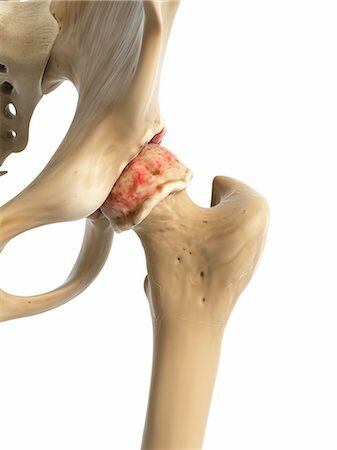 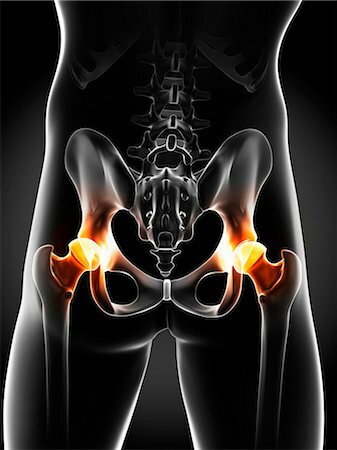 Hip pain, conceptual computer artwork. 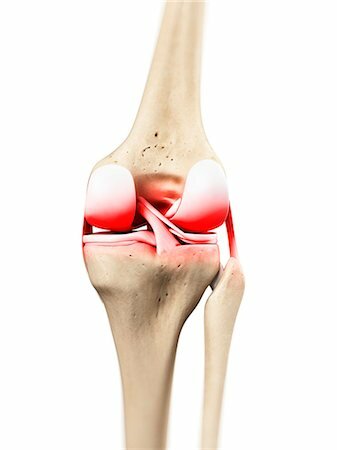 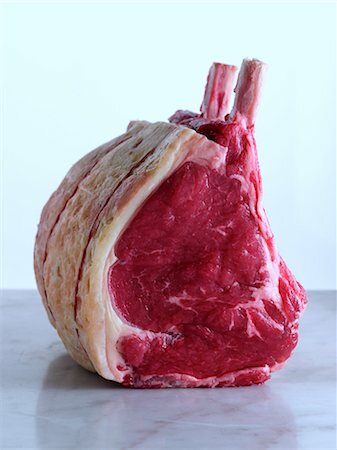 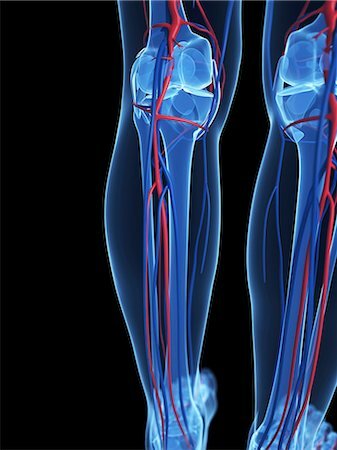 The muscles of the left knee, which are transparent revealing the skeletal structures beneath. 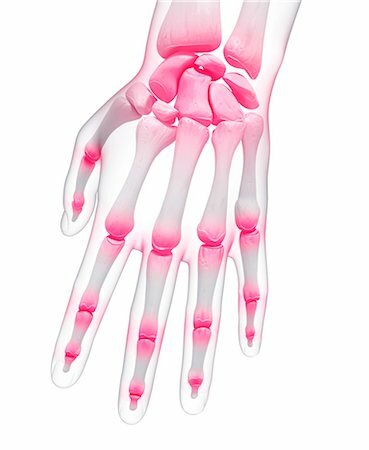 The bones have an X-ray appearance. 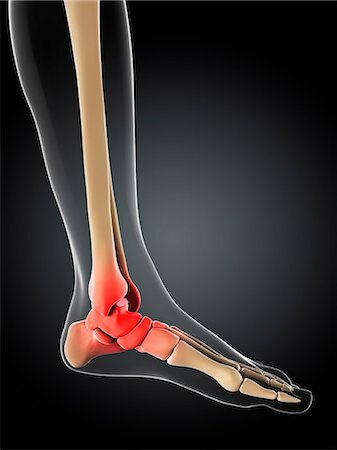 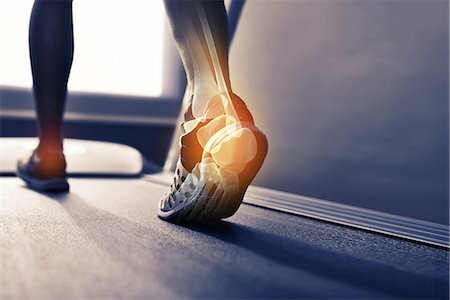 Ankle pain, conceptual computer artwork. 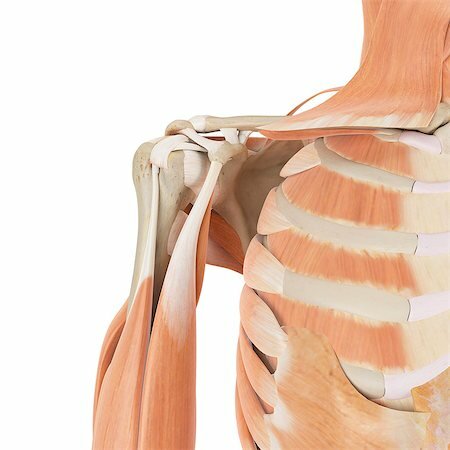 Close-up view of the bones of the chest and upper arm. 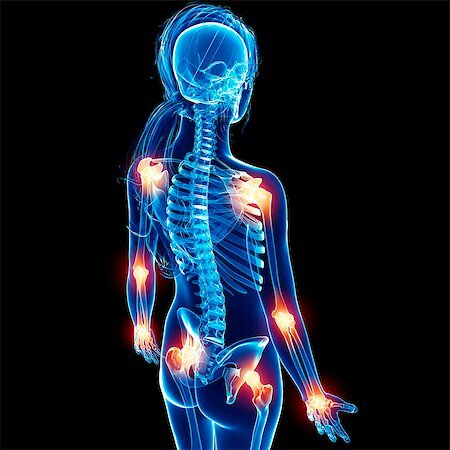 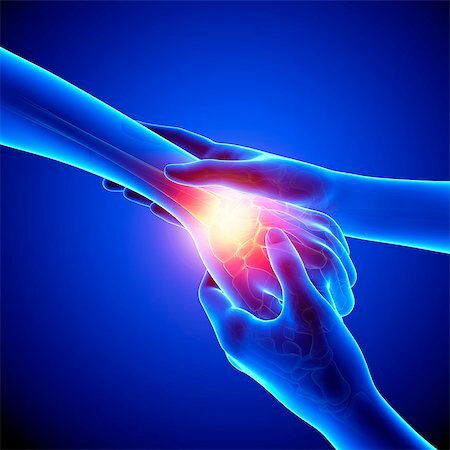 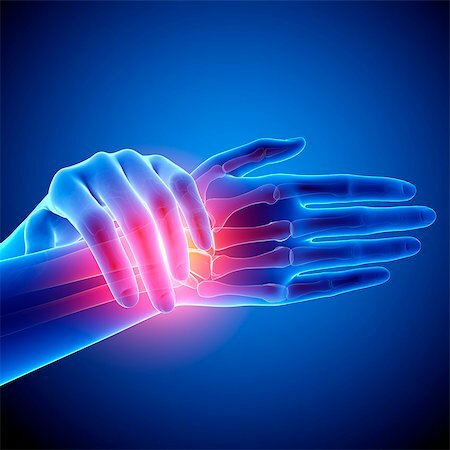 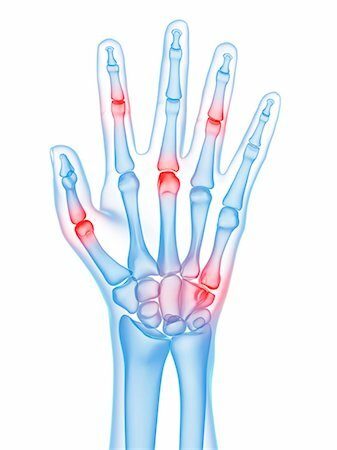 Hand joint pain, conceptual computer artwork. 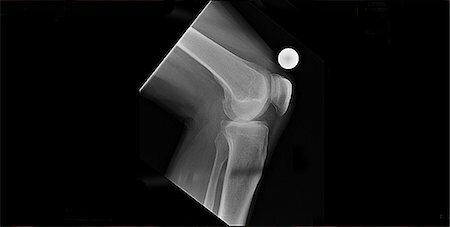 x-ray mans knee replacement pre op. 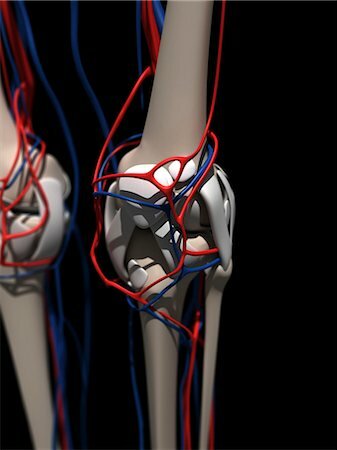 Human knee ligaments, computer artwork.